Health Costs > How Much Does a Chiropractor Cost? 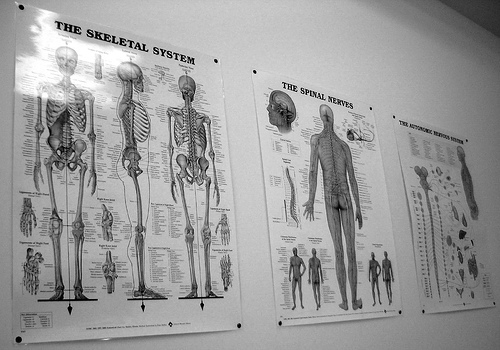 The first time you visit a chiropractor, the visit will cost more than a normal visit. This initial exam will require X-rays and other tests to let the doctor know what your personal needs are. These tests will also tell the doctor what type of chiropractic care you need. This initial visit will usually cost around $55 to $200 without any insurance coverage. Each subsequent visit to the chiropractor, usually known as an adjustment, will cost about $30 to $75 depending on the chiropractor, the cost of living in your area, and the severity of your condition. Other additional fees may apply. Refer to our chart below to see what other fees may be applied. Some insurance companies cover chiropractic care while others do not. Check with your insurance company to find out. If your adjustments are covered, then your cost will be reduced to $10-$30 per visit. If covered, you’ll only be responsible for your deductible and co-pay. The Joint Chiropractors, a franchised chiropractor will hundreds of locations nationwide, charges $59 per month for adults and $39 per month for those younger than 17. This rate would be good for up to four sessions. A chiropractor will be able to help with problems such as spinal cord issues, back and neck pains. Using their arms and hands, the doctor will apply pressure to certain points to relieve pressure and realign joints. What to expect your first time? During your first initial appointment, the chiropractor will perform a complete examination, which will include a neurological and orthopedic exam. Once done, your chiropractor will create a written report for what they recommend. Follow-up visits, depending on your situation, may include adjustments, electrical stimulation, traction therapy, physiotherapy or heat therapy. The average session can last anywhere from 30 to 60 minutes. Some chiropractic offices also offer massage therapy. This is a therapy for the muscles rather than the bones and will usually cost $30-$50 for a half hour session. Some chiropractors can also assist with physical therapy. If they participate in something such as this, it can cost extra as well. Edzard Ernst offers 20 things a chiropractor won’t tell you. Some people believe that once you start getting adjusted, your body requires it more and more. They would argue that the best way to save money on chiropractic care is simply to never start. If you’re part of a gym, some may have discounts with local chiropractors located in the local area. Ask your gym to see if they have any referrals or discounts available. Consider paying up front with cash. Most offices will be more than happy to provide a discount to those that pay in full up front. Ask before the session starts to see what kind of discount you can receive. Larger groups are going to charge more than the smaller groups. Consider heading to a smaller group to get a better rate. Talk with three different chiropractors to get a good idea of what they are going to charge. It also doesn’t hurt to read reviews either online. Some offices may offer packages that allow you to purchase multiple sessions up front. By going this route, you may be able to save up to 40 percent by purchasing 6 to 12 sessions at once. Some offices may even have monthly memberships. If you plan on having more than three to four adjustments a month, you may want to consider this option as well. I go to some quack in Romeo, Michigan and he tried billing my insurance $350! !